California is being systematically destroyed by a far-left Progressive Democrat Party that has left even moderate Democrats behind. Highest in the nation taxes, poverty, and homelessness have resulted from policies advocated by politicians like Jerry Brown, Gavin Newsom and Nancy Pelosi. It's time Californians stand up for our state, our families, and our values. It's time California leads the nation once again in new job creation, the best education for our children, and the highest quality of life. It's time we TAKE BACK CALIFORNIA! Yes! 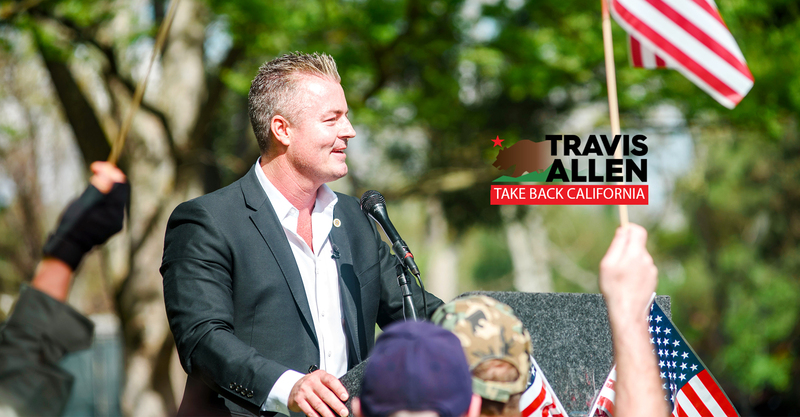 I want to help Travis Allen Take Back California!